Could not have done it without Sonia. Amazing tour and much less lines to wait in. Sonia took us to all the best spots including great lunch. Highly recommend this tour. Paul. Montana USA. Highly recommend this tour. Sonia made it very easy and took us to the best spots. Would Not have been nearly as enjoyable with out the great tour guide. Thanks Sonia Paul. Montana USA. Sonia was great. She is very knowledgeable and help us arrange our visit efficiently. She help us bought tickets to the forbidden city ahead of time otherwise we wouldn't be able to get in because tickets were sold out when we get there that particular day. We visited the Great Wall early in the morning which was great. It didn't take us much time getting up the wall. It was early so no crowd and we were able to enjoy and took a lot of pictures. Great start. Left Beijing at 1030 on a Monday and arrived at a deserted Wall just after 12 midday, ie between the standard morning and afternoon half day bus tours - excellent. Took cable car up to Tower 14 then walked down to Tower 6 for the toboggan ride down. Sonia well organised, but seemed quite shy. The old battered hired car was not the best we have had with TbL guides. No rear seatbelts at first until we got out and dismantled the bench seat to find the anchor points. Overall good day, no crowds. Hi we had a great time with Sonia. Her English was very good, and she could understand our sense of humor. We visited a quiet section of the Great Wall on a Beautiful Sunny Day when the Apricot Trees were in blossom. She was very flexible with our itinerary which was nice. A great tour again. Sonia is a knowledgeable guide who knows all the history of China. If she does not know the answer she will say so and not make something up. Had a great time visiting all the attractions. You can't go wrong using Sonia as a guide. She can also customize your tour for you. She is very flexible. Thank you Sonia for a great time. Sonia is a great tour guide. She is very knowledgeable in the history of China. Everyone in my family was very happy with her. No problems understanding her english speaking skills. I highly recommend using her. Sonia was great! She was on time each day of your 2 day tour. She was kind and had plenty of water for us. She was helpful and made great suggestions on where to go and what to eat! She answered our questions and we feel we learned a lot. Thank you Sonia! Sonia is an excellent guide, highly knowledgeable and very friendly. 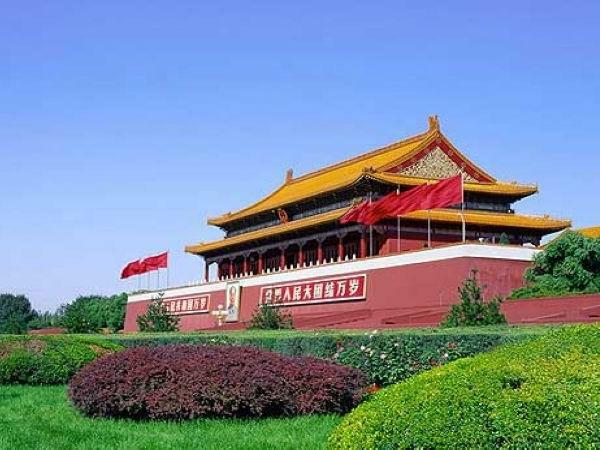 Provided great tours and access to the all of the best sites in Beijing. Excellent english speaker. Highly recommend. It was a my dream to visit the Great Wall of China. Sonia made the history come alive for us and shared many of her personal experiences touring and hiking in the area. Sonia coordinated the travel and the tickets that made the entire experience problem free. Great job! Sonia was a fantastic host and provided us with an exceptional tour. She is very personable, and her command of the English language was very welcomed. She selected some very nice (and affordable) Chinese restaurants to eat in. We had a great experience. Thank you. Lovely tour. Guide was very knowledgeable and spoke very good English. We had her two full days and enjoyed them both. Sonia is a wonderful tour guide! Her English is very good and she is a university educated person who is quite knowledgeable about the history and current events in China. Great sense of humor and very flexible. We are using her again tomorrow. I would definitely recommend Sonia and her tour. Her knowledge and experience walking the Wall was evident and we thoroughly enjoyed the day. Although there were a few other groups walking this section it didn't detract from our experience and we enjoyed the natural beauty of the area. Our lunch provided by a local family was also delicious. Thank you Sonia. Had a lovely day with Sonia visiting the traditional Chinese villages. Very knowledgeable and accommodative, and pleasant too. Learnt something about Chinese history and society. Will definitely recommend her! Sonia was fun and very knowledgeable about Beijing. We highly recommend her! Wonderful day with Sonia touring in Beijing. We had spent considerable time in Beijing previously and we were looking to do something different from the typical tourist tour. Sonia listened to our request and devised an itinerary to show us a more local side of Beijing. My husband is not a good walker and Sonia willingly adjusted the schedule to work for us. Sonia knows Beijing well and enthusiastically shares her information. Our day with Sonia was exactly what we wanted. I really enjoyed my tour with Sonia. I know I'm not the fittest person but Sonia was very patient and encouraging and took me only as far as I could go. The tour was exactly what I had wanted, ie to see and walk some of the unrestored Wall. The lunch was also very good. Sonia and the driver went out of their way to ensure my timely pick up and drop off despite the extra Golden Week traffic. I will be using Tours By Locals again if the circumstances are right. Had a great 3 days traveling around Beijing with Sonia. Visiting the Great Wall was the highlight of our trip. It was very interesting to navigate through the streets in air conditioned comfort and experience the "crazy" traffic as we went to each site. Although the subway system is clean and efficient I think you miss something of the energy that goes on up on the surface. It was so nice to have Sonia guide us through the madness. I think we would have been overwhelmed without her calm & pleasant help. Sonia arrived at our hotel on time and took us to an excellent section of the Great Wall. She came equipped with walking poles for everyone in our group and she was very knowledgeable about the Great Wall. Here communication prior to our arriving in Beijing was excellent. We thoroughly enjoyed our time with her! Sonia took us to the Great Wall, Summer Palace and Forbidden City. The latter tour was exceptional. During the first two we spent much time travelling to the locations and there was little to no interaction during this time. The tours would be greatly improved if she spoke about the tours and the sights along the way. While on tour we would suggest she devote her time to her clients and avoid using her cell phone and texting. Sonia, thanks for taking care of everything and for the airport pick up/drop off, it made everything easy. Thanks again. Above average experience. Sometimes a bit difficult to understand the accent, but way above the average in Beijing! Excelent privat tour....flexible and very nice ...great local chinesse food and also good recommendation for tea stores.... great time! Sonia was great - very easy going and friendly with very good English. Did exactly what we wanted to and didn't try to take us to any places we didn't want to go. Really enjoyed the walk on the wall - well away from other tourists - we didn't see anyone else at all as we walked! Thanks Sonia - absolutely recommended! Very friendly, informative and kind. She was on time and always keep us updated. The driver was very safe as well. It was a much better experience then being on a large tour bus. We were able to do what we wanted when we wanted. Thank you Sonia! An interesting mix of the classic sights and the bustle of a shopping street. The Touch Woman cafe was a great find and a welcome break in the middle of the day. Good coffee, snacks and a very clean toilet. All together a very enjoyable day. It was a misty day but going around Beijing. She took us to places that I had seen before being I have been to Beijing 3 other times. We had her for 2 days and she switched our days around so that the Great Wall would be on the nice day. No getting around the rain but did inside things also. She is a really great tour guide and made sure w seen things of interest to us. I would book her again when go back to Beijing! I had been to 3 different parts of the great wall. So when booking was wanting something different and NOT so Touristy! Sonia was great and the farm meal was really good. Nice that there were only 3 other people at the part of the wall. We had her booked for 2 different days. The day that was planned to the great wall was going to be rainy, so she switched the days around for us. We had a great time and NO rain, nice and sunny! She had a great driver come and get us very professional! Thank you. TOUR GUIDE RESPONSE: You are welcome. It was my pleasure being the guide for you. My granddaughter and I took three different tours with Sonia and had a wonderful time with her. The tour to the Ancient Villages was a real treat and we got to see a part of China not often visited by tourists. Had a great day and a good lunch at one of the villages. Sonia was always helpful and informative and we couldn't have had a better traveling companion!! This was a "must see" excursion. Had a great day with Sonia our guide. Wouldn't have made it up the "Great Wall" without Sonia's help. She is a treasure!! This was the first day of a two week tour of China and it was clearly the best. Our guide Sonia stayed with us whenever we needed her as we toured the Great Wall and the Summer Palace. She was informative but not overly preachy and used great judgement in leaving us to explore on our own in spots. I would absolutely recommend Sonia and will likely use Tours by Locals again in other cities. TOURSBYLOCALS RESPONSE: We look forward to welcoming you back on your future travels! Sonia was flexible and tailored the tour to our needs, including taking us to the airport on the way back. She also got along very well with our 9-year old boy, and spent some fun time with him while we were going a little further up the Wall. Sonia is friendly, helpful, provides information when needed without being overbearing. A great experience! I had fantastic 4 days in Beijing. ( 2 days hiking on the Great Chinese Wall and 2 days City Tour). A lot of new experience in a different areas: hiking, nature, history, cultural life, food, entertainment. Thanks Sonia for that. She is excellent guide and amazing person. Alwzays in time. Well organized, No stress. Good service of the driver. Never misunderstandings. Thank you for a memorial 3-days sightseeing! Had a wonderful time visiting Beijing and the Great Wall with Sonia. It was like spending the weekend with close friend! I especially loved that she took me to a part of the Great Wall that was not crowded with tourists. I highly recommend Sonia as a guide for anyone visiting Beijing. I hope to use Sonia again in the future! Thank you Sonia! Sonia was the best of all worlds: knowledgeable, easy to get to know, flexible, and always on time. She picked out some excellent restaurants for us to enjoy Chinese cuisine. Her knowledge of Chinese history helped us considerably when we toured Forbidden City, Summer Palace and Great Wall to name a few. Roger and Nancy Elliott U. S. A. My wife and I loved our tour with Sonia. She is knowledgeable, attentive, kind and considerate. She is also a lot of fun to talk to. We enjoyed a delightful visit to Beijing, and much of that is because our tour with Sonia was so great! There was a tremendous amount of walking before we were able to get to the cable car that takes you to the entrance to the wall. Then there is more walking and some step climbing. Once on the wall, the view is incredible and you realize that it was worth the long walk. Going down was a lot easier but still required much stamina. Wear good sensible walking shoes...you will need them! Sonia provided an amazing tour of Beijing! She was knowledgeable and energetic and provided my son and friend with an amazing memory. Thank you!! Sonia was wonderful! We highly recommend her! We really appreciated the knowledge and friendliness of our guide. The most special and spectacular part of our tour was being taken on a very remote part of The Great Wall. Our guide was attentive to all our needs and made sure we stayed together at all times. We had an outstanding experience. I would use this company again and refer to my friends. Special thanks to Sonia and her driver. Sonia, charming and entertaining, Friday evening beijing traffic was a problem that affected the tour, otherwise it was a good intro to some of beijing's sights. Sonia is a wonderful guide. She took the three of us on a 10km hike on the Great Wall. Her knowledge of the area was terrific, her English was wonderful, and she was very personable--we all talked throughout our 5 hour hike. She also arranged all of the transportation and a wonderful meal following the hike. My daughter, her friend, and I had a very enjoyable time. We highly recommend her to anyone who wants to get outside and explore the Great Wall. First of all our experience with ToursByLocals has been outstanding. Now as for the tour guide, Sonia, my husband and I strongly recommend her. She went above and beyond . I got ill on the first day of our tour and Sonia made sure that i got the proper medical attention i needed. She was an angel. I wish we could have spent more days but we were limited to time. If you are looking for one of the best guides, try to book with Sonia, she is truly an amazing person. We were so lucky to have picked Sonia from among all the Beijing guides. Her English is good, we had no problems communicating clearly with her. Sonia's main passion in life is the out of doors, so our days in the Beijing countryside, including an almost deserted Great Wall, were very special. Sonia, also very knowledgeable about urban Beijing, took us to the usual Beijing sites and helped us with train tickets. She's very flexible. Not enough space to fully convey our tremendous enthusiasm for Sonia. Unfortunately some of our party of five people did not think the tour was as good as it should have been as they expected more information to be given on the places we visited. We had to continually ask questions in order to learn of the history etc of each place and some of these were not answered. The places visited were exquisite though and we loved seeing an unspoilt section of the Wall. Lunch was exceptional and one of the best meals we had whilst visiting China. Thanks for tailoring it to our needs. We did two tours with Sonia while on a long layover. On the evening tour Sonia arranged for us to eat at a restaurant that was recommended to us from friends, and fit that into her circuit. We really enjoyed our time walking about the "old town" section and the timing of the driver for various pickups along the way was perfect. Having a great guide like Sonia makes all the difference of making special memories when you discover new countries. Sonia was all we could ask for as a guide. She tailored the tours to suit our needs and managed to take us to so many interesting places and answer all our questions that I doubt anyone could have done more / seen more and learn more in the time we had. If you want to learn about Beijing and a lot more besides definitely use Sonia as a guide. We intend to return to Beijing someday and meet Sonia again. Highlight of 9 nights in China but do note we did a customized tour to a different part of the wall than Jinshanling that Sonia put together that filled me requests of non-touristy , some original wall, included a small "normal" town. Sonia was very professional, friendly, easy to communicate with, provided one of our best meals in China. If you want someone to talk endlessly about the history of the wall you might want someone else, but Sonia perfect for everyone else. Sonia was a fantastic guide during our four-day journey through Beijing and The Great Wall. She was very flexible and accommodating (even mid-tour!) of our preferences and interests. She and her driver were incredibly prompt and efficient, and we are still talking about the four excellent lunches of various types of Chinese cuisine that we enjoyed thanks to her spot-on selections. By the end of the four days, we felt like we had gained a new friend. We highly recommend her services without hesitation! Sonia is a good guide and a very nice person. I enjoyed spending 3 days with her. The unspoiled Great Wall was a highlight. I saw many things that would have been very difficult to see on my own. My only criticism is that her English is not great and so I had difficulty asking questions that were detailed. We resorted to her smart phone as a translator on some occasions. TOUR GUIDE RESPONSE: In order to answer your very detailed questions accurately, like the word “purslane”（the name of a plant which grows in the mountains）, I did use my smart phone on some occasions. You are the first client who criticized about my English. You are also my first client who traveled empty-handed, even traveled to the Great Wall. So I had to carry bottles of water for you in my backpack every day and gave them to you when you needed. Anyway your comment will encourage me to improve my English! TOURSBYLOCALS RESPONSE: We're surprised by Mr. Alexander's comment regarding Sonia's English skills as others have commented on how good it is. We've asked Sonia to post a movie on her profile so that travelers can assess fluency level. I liked this tour so much I decided to do it again, this time I brought my spouse along. Sonia loves the outdoors and makes this hike extremely enjoyable. The peach blossoms were in full bloom and the Wall had a completely different look than that of early summer. Sonia was very patient with us as we hiked rather slowly taking numerous pictures along the way. Lunch was again the best meal I had in my 3 weeks I spent in China. 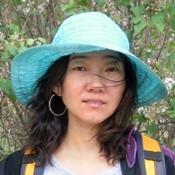 If you love the outdoors and you are in Beijing then you need to contact Sonia. enjoyed learning about tourist attractiona and personal culture. Sonya was knowledgable, friendly and made the tours very enjoyable. TOUR GUIDE RESPONSE: Hi,Ken: Thanks for the comments. Have a great time in the following days in Beijing. We accomplished a lot within a day due to Sonia's efficient planning. Our family was able to visit the Mutianyu portion of the Great Wall, Drum Tower, Lama Temple, Summer Palace, and the Olympic site. She brought us as well to a bakery to sample their products, a shopping mall frequented by the locals for great bargains, a famous dimsum place and a store that sells candies which taste like red iced tea. Sonia and our van driver definitely made our Beijing tour truly informative and enjoyable-Thanks a lot! Sonia was our guide for three days in Beijing and hiring her was the smartest thing that we did on our entire trip. She took us to an unrestored part of the great wall and we hiked with no one around. It was fantastic. She is enthusiastic, her english is excellent and she customized our tour perfectly. She took us to authentic restaurants with excellent food and not another tourist in sight. Our first experience with Tours by Locals could not have been better. Thank you so much Sonia. TOUR GUIDE RESPONSE: Dear Myron and Helen: Thank you very much for your high comments! I really appreciate that. It is my pleasure to leave you a pleasant trip. I also had a great time with you. I hope one day you can come back to Beijing again. We were with Sonia and she is definitely 5 out of5! Sonia is a lovely person, very warm and knowledgeable, flexible and empathetic. We had a great time with her. It was very cold and windy, so we elected to cut short some of our walking, but we still feel we saw everything that we wanted to see. We spent an enjoyable and fun evening with Sonia and she also helped us the next day to get the bullet train to our cruise ship in Tianjin. We recommend Sonia highly to other TBL clients. TOUR GUIDE RESPONSE: Hi, Jean: Thanks for your nice comment. Your comment really encourages me. You are a very charming, energetic and smart woman. Your beautiful smile is very impressive. I enjoyed the time being together with you very much. Good luck with everything. And I hope to see you again. Sonia was very efficient and flexible regarding our tour. I would highly recommend her. My suggestion to make the experience more educational would be that Sonia address the entire group in the tour at each site giving an overview of the history and relevance of the site. She was welcome to questions but never gave specific information to all of us at each place. Her English was very good. TOUR GUIDE RESPONSE: Hi, Kerry: I guess you are in warm Thailand now. Enjoy your first trip in Asia. You are a very energetic and understanding woman. I enjoyed the two days' tour with you and your family. Sonia was fabulous in all areas, in particular with accommodating our desire for a schedule different than normal. Her pre-trip communication was particularly stellar to ensure that we got the kind of tour we wanted. Sonia was fantastic the scenery was fantastic the weather was great. Sonia is very knowledgable about the history of the wall and Chinese culture and environment. She is a very experienced hiker so we felt like we were hiking with a friend. Sonia spoke and understood English very well. The hike on the great wall at Jingshaling proved to be our most enjoyable memory of China. TOUR GUIDE RESPONSE: Hi,Erica: Thanks for the feedback and encouragement. You and Rob are so nice people: energetic, understanding and adventurous. Both of you have very young hearts. And thanks for the picture book of Australia. It is so beautiful and lovely. Good luck with everything! Hope to see you and Rob again. We enjoyed the whole day with Sonia who was flexible in making sure we made the most of our short time in Beijing. We saw everything we expected and more Sonia kept checking with us on timing and what we would like to do so we could spend as long as we liked at each attraction. TOUR GUIDE RESPONSE: Hi,Andrea: It was so nice meeting you and your son in Beijing. I enjoyed the time showing you and your son around my city. You are so energetic, understanding and elegant. Good luck with everything and hope you have a wonderful time with the relatives and friends in England. This was a perfect section of wall to visit with great views and hardly any other visitors. Sonia gave us the choice of two sections to walk and also gave us helpful information for our stay in Beijing. TOUR GUIDE RESPONSE: Hi, Andrew: I was really impresssed by your fitness . Hope you got nice pictures of the wall. Good luck with everything! Have a nice time in England. The tour was fantastic. The give was vert attentive and helpful during the tour. She was knowledgeable. I truly enjoyed the opportunity to meet locals and partake of lunch. The driver was polite and very courteous with his driving skills I would use this guide on any further trips to Beijing and will indeed forward her contact information to friends visiting Beijing. Sonia was great, the hike was perfect. I will hire her again when I am in Beijing, she was very responsive to my email questions and made us feel very comfortable. The included meal at the local farm house was the best meal we had in our two weeks in China. If you like to hike and want a lasting memory I recommend checking out Sonia's offerings. TOUR GUIDE RESPONSE: Hi, Peter: Thanks you very much for your feedback and encouragement. You are my first guest from toursbylocals. You are so nice people and I really enjoyed the time to be with you and your colleague. Welcome to Beijing again and I hope that I can show you more interesting hiking places around my city.Good luck with everything and hope you have great hikes in America this summer.